There has been volumes written about the great Larry Scott. The winner of the first two Mr. Olympias and the man with the most celebrated arms in the history of the sport should garner some serious ink. Here we condense Larry the Legend’s major milestones for us mere mortals with short bicep tendons and even shorter attention spans. 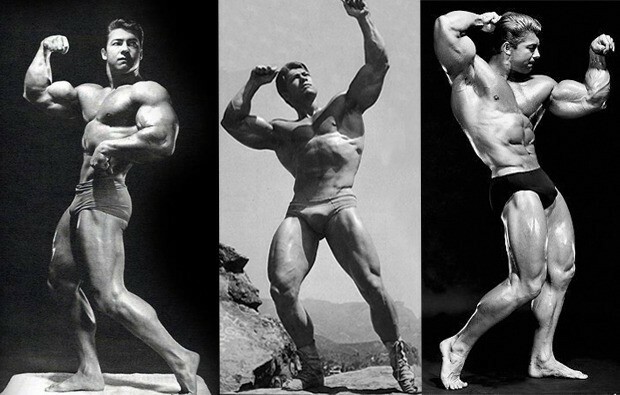 Larry Scott was born on Columbus day (October 12) 1938 in Blackfoot, Idaho. His family moved to Pocatello, Idaho shortly after. Larry grew up at 205 East Eldredge Street in Pocatello. At 16 Larry found a muscle magazine in a local dump with George Paine on the cover. This was his initial inspiration to start bodybuilding. He developed a drive for bigger muscles because Larry’s dad and uncles were six feet tall, strong and husky but Larry was skinny and 5’8″. After high school Larry convinced his parents to send him to the California Air college in Hollywood to learn electronics. He quit school after one semester. While in Hollywood Larry visited Bert Goodrich’s health Club and saw Lou Degni (later Lou changed his name to Mark Forrest for the movies) Degni took Larry under his wing and taught him the tricks of the trade of bodybuilding. Bob Delmontique took pictures of Larry and published them in “Tomorrow’s Man”. Unfortunately, a lack of money caused him to move back to Idaho. 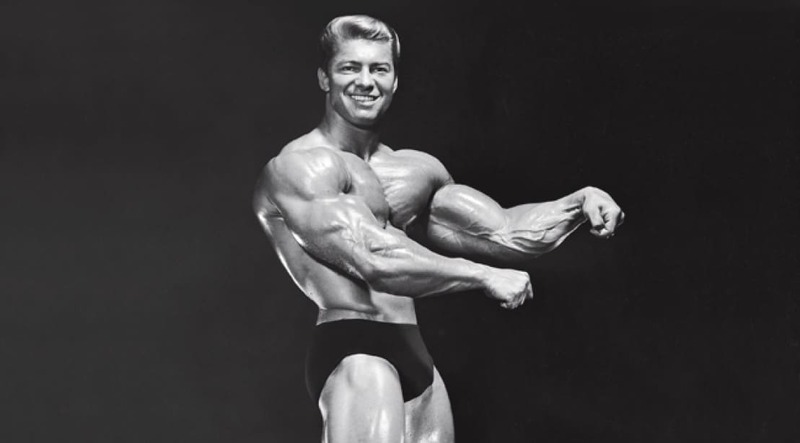 In the late 50’s Larry Scott decided it was time to compete in bodybuilding competitions. He won Mr. Idaho in 1959. He was 5’8″ and 152pounds. Larry returned to Los Angeles and began training at Vince’s Gym. He took 3rd in the ’59 Mr. Los Angeles show behind Hugo Labra and Franklin Jones. Two months later, with Vince’s posing help and Rheo H. Blair’s nutritional advice, Larry won the Mr. California beating both Jones and Labra. Bob Delmontique now wanted to take photos of Scott for the Weider mags. Larry met Joe Weider at Delmontique’s photo shoot. Weider took him to lunch and asked him to enter the IFBB Mr. America. However, Larry told Joe his heart was set on winning the AAU Mr. America. Scott then met Bob Hoffman several months later at the ’62 AAU Mr. America. Hoffman wouldn’t speak with him due to the fact he had appeared on Weider mag covers. Well, that made up Larry’s mind. He entered and won the 1962 IFBB Mr. America! 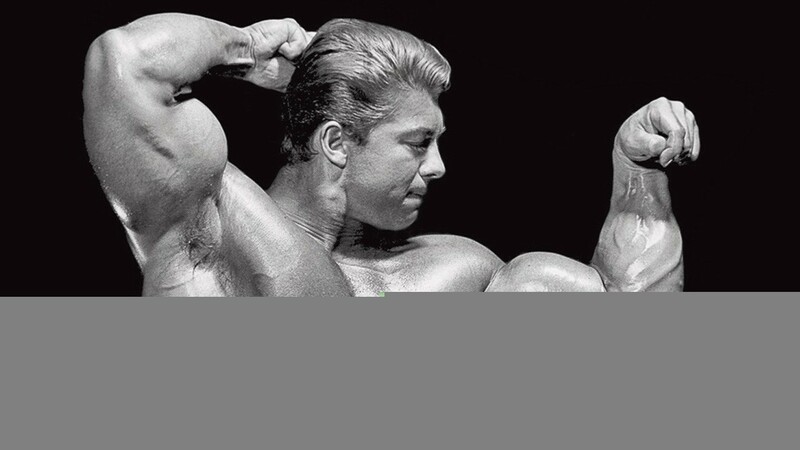 Larry Scott had cemented his name in bodybuilding history. After winning the America Larry set his sights on bigger titles. Larry entered the ’63 IFBB Mr. Universe and took second to Harold Poole. He then went on to win the title becoming the 1964 IFBB Mr. Universe. Around that time Joe Weider conceived the idea of the “Mr. Olympia”. A contest open to former Mr. Universe winners. This gave Larry one more rung to climb to reach the top of the bodybuilding ladder. On September 18, 1965 at the Brooklyn Academy of Music in New York City the very first IFBB Mr. Olympia contest was held. 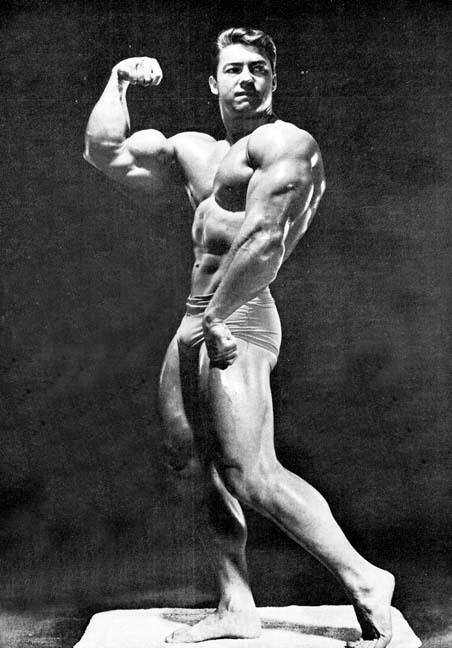 Larry Scott came away the winner and set a new standard of muscular development. Larry successfully defended his title the following year in 1966. Larry was now a two time Mr. Olympia but had no other worlds to conquer within bodybuilding. The prize money could not support a family man and it would be years before a professional could make a living off of endorsements. After reaching the pinnacle of the bodybuilding world, Larry found that he felt unfulfilled and decided to devote his time to family, faith and work. During this time his bodyweight dropped to 156 pounds after a 2 year layoff from training. Larry’s interest in the weights was rekindled when he tried to put in an in-ground trapoline and found he was sore the next day.His old friend Joe Weider gave him some barbells and Larry began training again at home. Eventually, Larry began speaking to youth groups about training and nutrition and soon began giving bodybuilding seminars. Larry’s muscular body weight continued to climb and in 1979, he decided to try competition one more time. The bodybuilding world had not sat still in his absence. Much tougher competition had come up through the ranks. He placed 9th in the IFBB Canada Diamond Pro Cup but didn’t place in the IFBB Grand Prix in Vancouver. Larry once again retired from competition. Still Mr. Olympia in his fans’ eyes, he had nothing to prove. Today Larry runs a very successful equipment and supplement business. He is still training hard at age 71! Larry Scott continues to inspire and motivate his many fans today just as he has done for decades. He is truly an Iron Age Legend!